Tired of Adding to Dropdown Lists? We were too! That's why we created Dynamic Dropdown Pro. We got tired of editing a record only to find that the value that we need to select isn't there. That meant that we had to break our flow, leave the record, go to the Admin page, edit the dropdown list, add the value, save the list, and then restart our edit. Are You or Your Users Always Waiting? If you aren't an admin you will have experienced this before. The long wait for the new value to be added so that you can move on with your day. And vice versa. As an admin, you probably have experienced that ping while you were in deep in the middle of some job just to get some value added to a list. Wait no more! 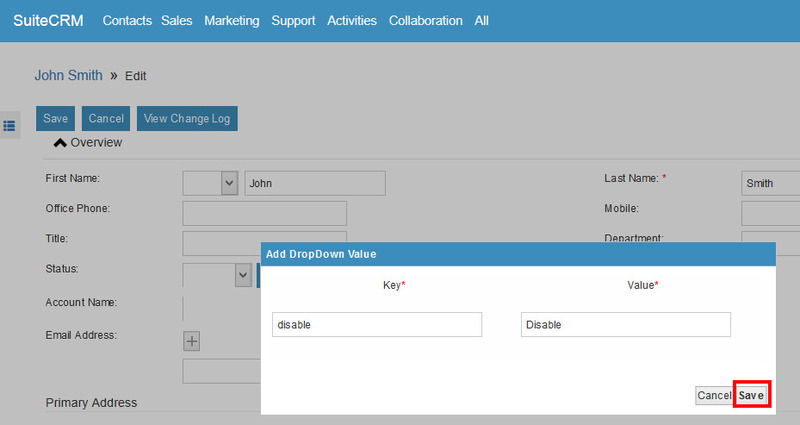 Now you can give certain non-admins the ability to add values to specific dropdowns. Works great on both the edit screen and the quick create view. Try it out right now or learn more. "Great add on for a small one off cost allowing admin users to give rights to edit dropdowns from the edit screen!"